Home › Art › What are Your Books? Last weekend, I was updating my Collectorz software, adding two books that I finished reading last week (The Jesus Wars: How Four Patriarchs, Three Queens, and Two Emperors Decided What Christians Would Believe for the Next 1,500 years by Philip Jenkins, and The Sociopath Next Door by Martha Stout, PhD, in case anyone is interested). I was scrolling through the lists, deciding what to read next, sorting by author. I was somewhat surprised to see how many books I had by certain authors. These are my top ten authors. (Note: These are from my current library and does not include books that I’ve owned in the past but no longer possess, or that I’ve borrowed and read). Who are authors that you love to read, or that have inspired you, made you think? 2. Larry Niven – 26. Larry Niven is one of my favorite authors. I started reading his Tales of Known Space when I was in high school, including Ringworld series . I’ve re-read the series a few times, except for the last book. Sometimes even great authors don’t know when to quit. When I visit the bookstores, I always check out the “N” sections of the science fiction racks. 3. Thomas Sowell – 15. A business associate introduced me to Sowell when he sent me the book Vision of the Annointed: Self-Congratulation as a Basis for Social Policy. I searched out and read his three books on forces that shape our culture: Race and Culture, Conquest and Culture, and Migration and Culture. I have read many of his books, but as his focus is primarily economics, I don’t find much of his work as interesting. However, hopefully I’m a smarter person for having read them. 4. Stephen Jay Gould – 12. Throughout my college years and for a decade, I belonged to the Book of the Month Club and an auxiliary club called QPBC (Quality Paperback Book Club). One month I received Gould’s collections of essays Ever Since Darwin, and was hooked. A longtime science geek, Gould introduced me to a new insights of biology and evolution. 5. Richard Dawkins – 10. My first Dawkins book was The Selfish Gene, followed by The God Delusion. I’m still working through some of the others in my collection. Since I’ve been at several conferences where he has spoken, I have autographed copies of Delusion and The Greatest Show on Earth. 6, 7, 8, 9 – Karen Armstrong, J.R. R. Tolkien, Michael Shermer, and Simon Winchester – 8 each. Eclectic, eh? From this, you should be able to tell that I like skepticism, history, all things hobbit, and…history. 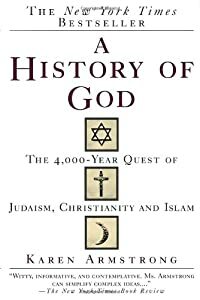 My first book by Armstrong was A History of God, about the rise of fundamentalism in Judaism, Christianity, and Islam, which are all relatively late developments. 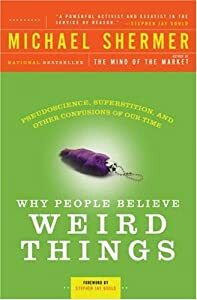 Shermer’s book Why People Believe Weird Things caught my eye at the bookstore, and is why I learned there were other people in the world that had my views, and that we were called ‘skeptics’. 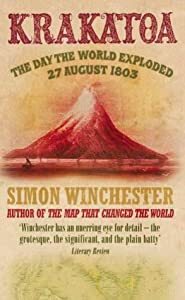 And, being a lover of history especially has told through the lens of science, Winchester’s book Krakatoa: The Day the World Exploded delighted me enough that I’ve picked up quite a few of his other tomes as well. Tolkien, well. He needs no explanation. 10. Mark Twain – 7. I think I’ve read every book and most of the short stories that Twain ever wrote. The book that I’ve personally owned the longest is a copy of The Adventures of Tom Sawyer that my parents gave me over 40 years ago. Although now that I look, it seems to be missing from my shelves, along with my first edition-but-battered copy of Ben Hur. I think I need to talk to my son. 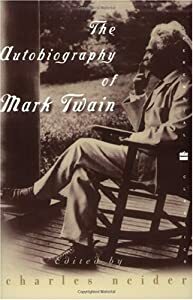 I also have a copy of the Autobiography of Mark Twain, but I need to work out with weights before I have enough strength to hold it up to read it. What a great list. I particularly like the King “diarreah of the word processor” comment. And Twain. I love. Twain. 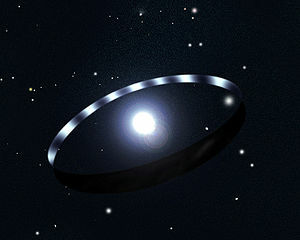 After you read some Ringworld, try his Footfall and Mote in God ‘s Eye. I like Mote particularly, even though some of the ideas seem a bit less than PC in this day and age. Even so, great concepts, cool ideas. My list are Mark Helprin’s Winter Tale and A Solider Of The Great War. I believe he is the most underrated writer in contemporary literary fiction. He writes beautifully and fantastically. Jorge Amado’s Home Is the Sailor. Amado was considered Brazil’s greatest writer and Home Is the Sailor is considered a minor work in his bibliography but is a great tale about social status and the effects of gossip on a community. Athol Dickson’s Lost Mission and The Opposite of Art. Dickson is becoming a my favorite new writer and to write Christian Fiction intelligently, subtly and suspenseful makes him one of the best of the genre. The Testament by John Grisham is another novel I really liked and has made my favorites list. A great story about redemption and how wealth can effect a family. Lastly, my favorite book in David Copperfield by Dickens. This novel was considered his favorite and I can see why after reading it. My favorite author is James Michener. I’ve read all his books and collected them for a while. But I am partial to Texas, of course. I read a lot of historical books since genealogy is my number one hobby and learning about the time periods and what was going on has helped me in the searches. I’ve read Centennial and Chesapeake. I started Poland but never finished it. I’ve also read a lot of Tom Clancy and Michael Crichton, but I don’t own the books any more.